It is fitting that pitcher Bob Forsch and catcher Ted Simmons were elected together for induction in the St. Louis Cardinals Hall of Fame. Forsch and Simmons, elected on May 4, 2015, along with outfielder Curt Flood and instructor George Kissell, formed an iconic Cardinals pitcher-catcher battery from 1974-80. Simmons, by far, caught more of Forsch’s games than any other catcher. 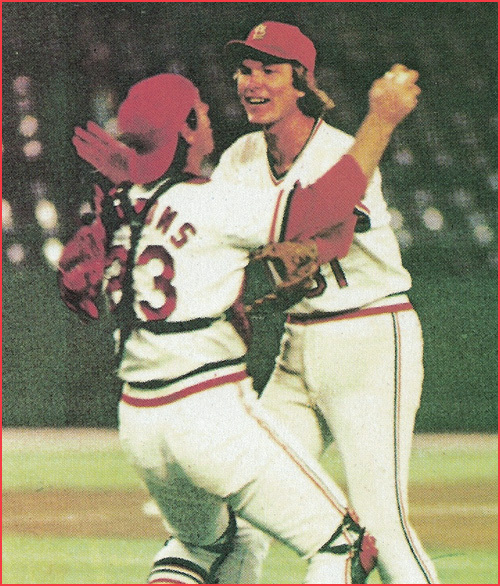 In his book “Tales from the Cardinals Dugout,” Forsch said of Simmons, “Teddy Simmons was my catcher, but we also became really good friends. We drove down to the ballpark together for every home game. So I may be prejudiced, but I think Teddy’s been slighted for the (National Baseball) Hall of Fame. Without a doubt.